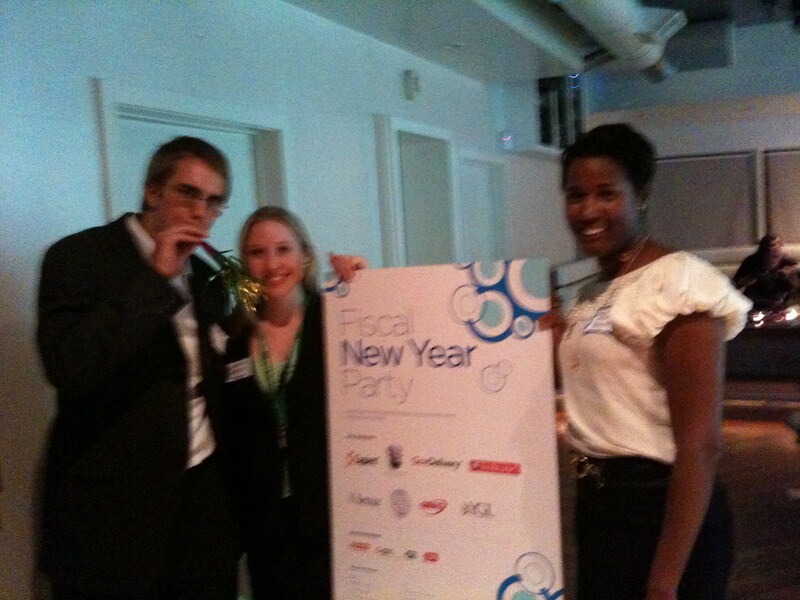 GovLoop and GovDelivery, fresh off their new partnership, had a party — to celebrate that collaboration, but it was also a Happy Fiscal 2010 New Year Party at Current in Washington, DC. * The future of Intellipedia: We’ve been telling you about the decision by the Office of the Director of National Intelligence to shut down one part of the Intellipedia suite of collaboration tools. 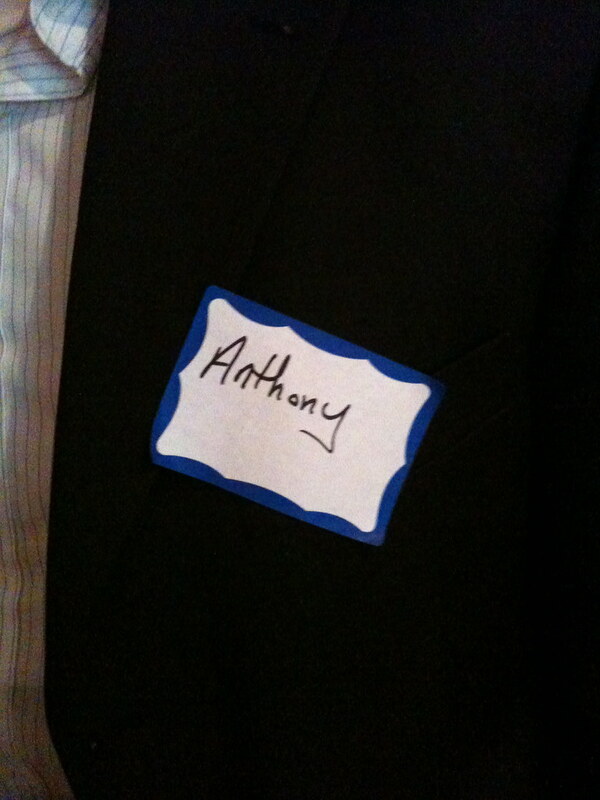 It’s important to remember that the crowd that comes to a GovLoop party is more of a gov 2.0 crowd. That being said, it is also a younger group — and they are collaborators. And they are passionate about the mission of government. They are, by and large, the kind of people the government wants to hire — and keep. Despite reassurances by ODNI officials that they will replace the uGov e-mail system with something else, there is a lot of suspicion. In the end, e-mail is a 1990s technology and is not really a collaborative technology. But there is great concern about what this will mean for the rest of the Intellipedia suite of collaborative tools. But people believe that this has a significant impact on what other agencies will do. * Collaborating around Buying — specifically, betterbuyproject.com: A group of folks — GSA and the National Academy of Public Administration — are working on improving the acquisition process… even the crowdsourcing of an acquisition. It is a great idea and a marvelous attempt at trying something new and different. The official announcement of the program will come later this month at ACT/IAC’s Executive Leadership Conference… and we hope to have GSA’s Mary Davie on Federal News Radio 1500 AM’s Daily Debrief with Chris Dorobek and Amy Morris with a preview in the coming days. 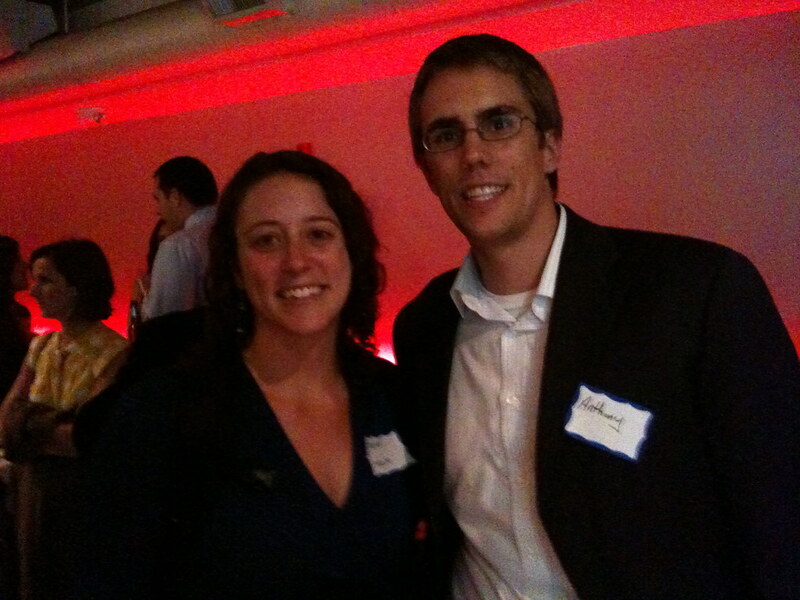 In fact TechBisnow was able to grab a photo that I did not — GovLoop’s Ressler and GovDelivery’s Burns. 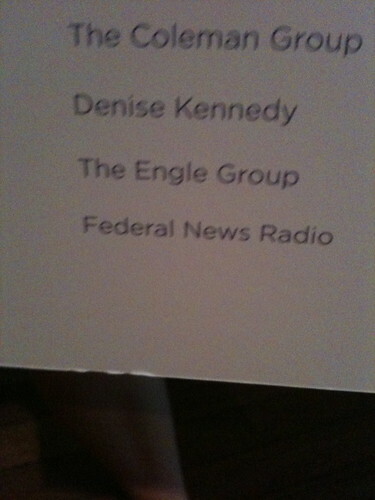 And, by the way, yes — Federal News Radio 1500 AM was a sponsor.